A former US Border Patrol agent and author who witnessed first-hand the reality of migrants risking their lives to cross the border will lecture at Texas A&M International University (TAMIU) Wednesday, Nov. 14 at 6 p.m. at TAMIU’s Student Center Ballroom. 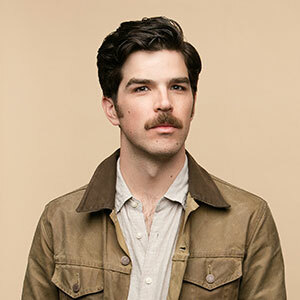 Francisco Cantú, author of The Line Becomes a River (Riverhead Books, 2018), is the featured speaker for IBC Bank and Commerce Bank’s 2018-2019 Keynote Speaker Series. His presentation, “The Human Cost of Deterrence Based Border Enforcement,” is free and open to the public. A reception starts at 5:30 p.m. The IBC Bank and Commerce Bank Keynote Speaker Series is presented by the TAMIU A. R. Sanchez, Jr. School of Business’ Center for the Study of Western Hemispheric Trade and sponsored by IBC Bank and Commerce Bank. Raised in the Southwest and a student of U.S.-México relations, Cantú enlisted as a U.S. Border Patrol agent in 2008 to see the realities of the border up-close. During blistering days and frigid nights in the deserts of Arizona, New Mexico and Texas, he and his partners apprehended migrants risking their lives to cross into a new country. Haunted by his interactions with border crossers and rattled by an inescapable proximity to violence, Cantú decided to return to civilian life, only to discover that the border had followed him home. In the book, Cantú speaks frankly, compassionately, and knowledgeably about the terror and tragedy of the migrants who risk and lose their lives in crossing attempts. A master storyteller, he gives human faces to the nameless multitudes and refutes the incendiary policy and rhetoric aimed at them. A former Fulbright Fellow, Cantú is a recipient of a Pushcart Prize and 2017 Whiting Award. His writing and translations have appeared in Best American Essays, Harpers, n+1, Orion, and Guernica. His work has also been featured on This American Life. He currently lives in Tucson, AZ. For more information, contact Amy Palacios, associate director, Center for the Study of Western Hemispheric Trade, at 956.326.2820, or amy@tamiu.eduor visit offices in Western Hemispheric Trade Center, room 221. University office hours are from 8 a.m. – 5 p.m. Monday-Friday.